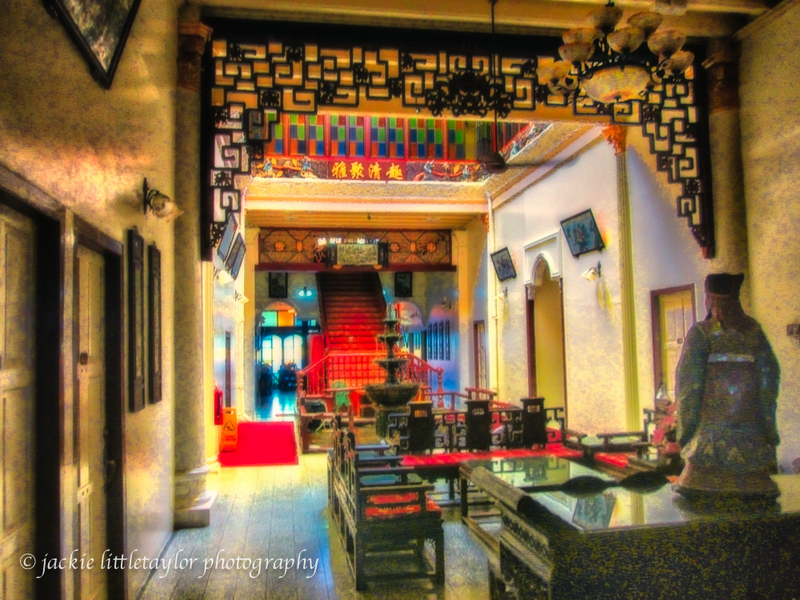 Located George Town Penang Malaysia near lot of small shops, few bars, and places to eat. I have stayed here a few times when making a visa run from Thailand. I kinda like the place with the old chinese decor and I was not expecting much. The service I received was always polite. There is a large outdoor patio in front where they serve meals and a small bar. With plenty of tables and chairs, good to watch the people traffic and relax with friends. Food was ok and limited. The rooms were always clean with TV and A/C. If looking for a inexpensive place near the old part of town and not expecting to much then not a bad choice.